I watched the clock hit midnight, and the doom of the Y2K problem stubbornly failed to occur, presumably due to the heroic efforts of over-charging millennium bug consultants. Microsoft launched Windows 2000, their first on-time release, and promptly drop the year numbering to prevent future snarky comments. In the UK, the London Eye starts to turn, the Tate Modern opens, and the Millenium Bridge closes after two days due to syncopated walking. The “wobbly bridge” re-opens two years later with 89 dampers fitted to halt the oscillation. Sydney hosts the XXVII Summer Olympics, divers discover the ancient port of Alexandria, and Sony releases the PlayStation 2 gaming console in Japan. And over in the contemporary art world, Josh Agle took part in seven group art shows. The uncommercial art by commercial artists exhibition ran at the La Luz de Jesus Gallery in Los Angeles, California from March 3rd to March 28th 2000. This was the third juried group exhibition for the gallery with artists invited to contribute work of a personal nature. Out of the 150 pieces shown, Josh Agle exhibited and sold the original painting Mr Pig. If you have a picture then please let me know. The lowbrow art: up from the underground group art exhibition was ran at the Hollywood Art and Culture Center in Hollywood, California from March 16th to April 16th 2000. Josh Agle was one of 31 artists contributing the 65 pop-inspired works for the show. Shag contributed a painting of a drunken shriner riding a pink elephant, please e-mail me if you have more information. 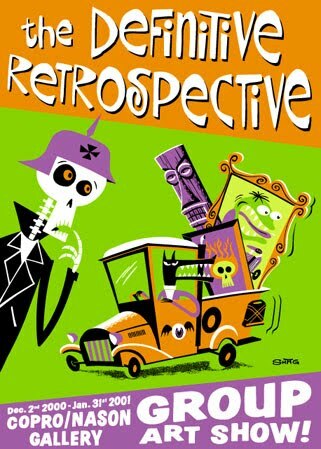 The retrospective group show was held at the Mendenhall Gallery in Pasadena, California from June 24th to July 10th 2000. This closing retrospective of the Mendenhall Gallery included top artists from the contemporary art world including Mark Ryden, Glenn Ness, and Josh Agle. Please let me know what work from Shag was exhibited at this show. 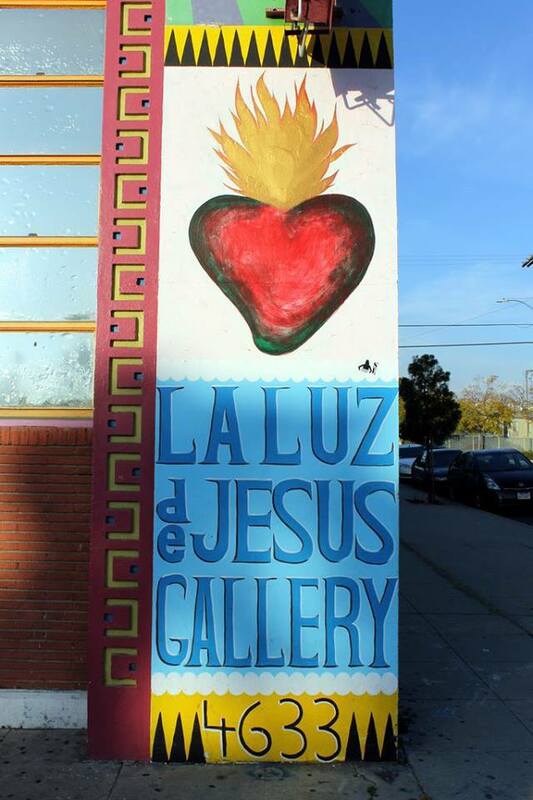 The La Luz de Jesus Gallery in Los Angeles, California held the group drawing show: luck of the draw show from July 7th to August 27th 2000. 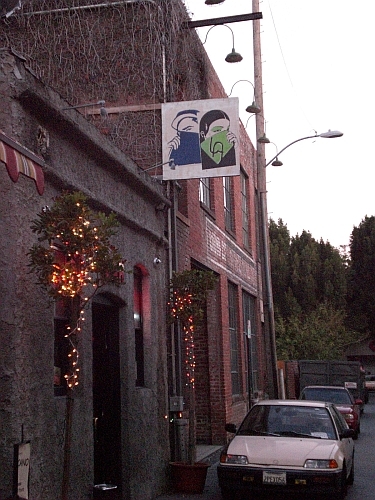 Shag contributed the two 15” by 15″ original paintings, Hotplate 2000 and Pick Up Bar Scene. Please let me know if you have pictures. 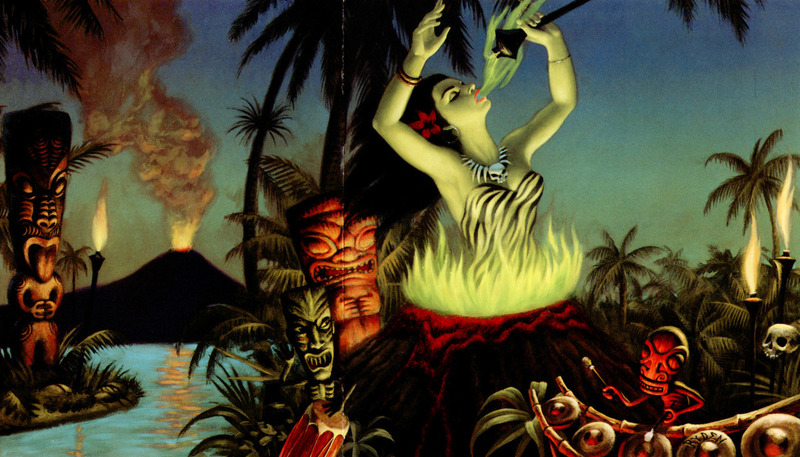 The Forbidden Island Tiki extravaganza included art by Tiki Bosko, Dave Burke, Kristine Karas, Stacy Lande, Lisa Pettrucci, Josh Agle and many others. 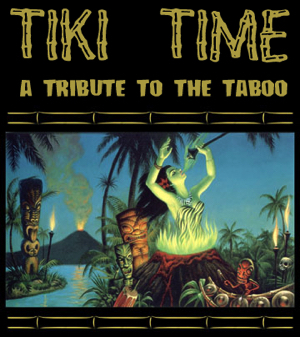 TheTiki Time: A Tribute to the Taboo exhibition ran at the Forbidden Gallery and Emporium in Dallas, Texas from July 15th to August 19th 2000. The opening reception was held from 7pm to 12am on Saturday 15thJuly. It is unclear what work by Shag was shown but Mark Ryden’s Pele painting was included, this was reimagined by Shag in 2017. It Came from the South Seas! Carl Carlson and Kirsten Anderson co-curated the It Came from the South Seas! 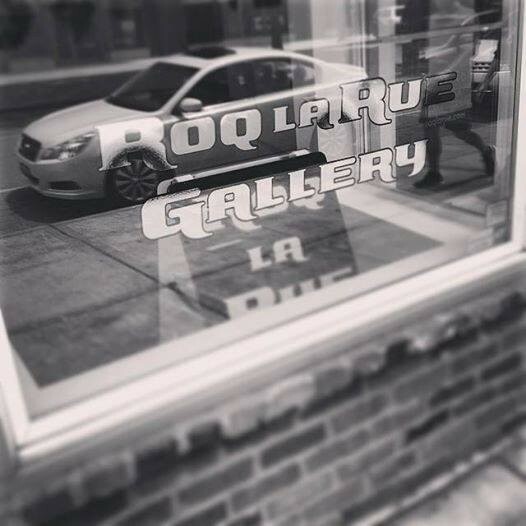 group exhibition of over fifty artists from the 4th August to 2nd September at the Roq La Rue Gallery in Seattle. The opening reception with cocktails, snacks and a DJ was held from 6pm to 10pm on Friday, August 4th 2000. 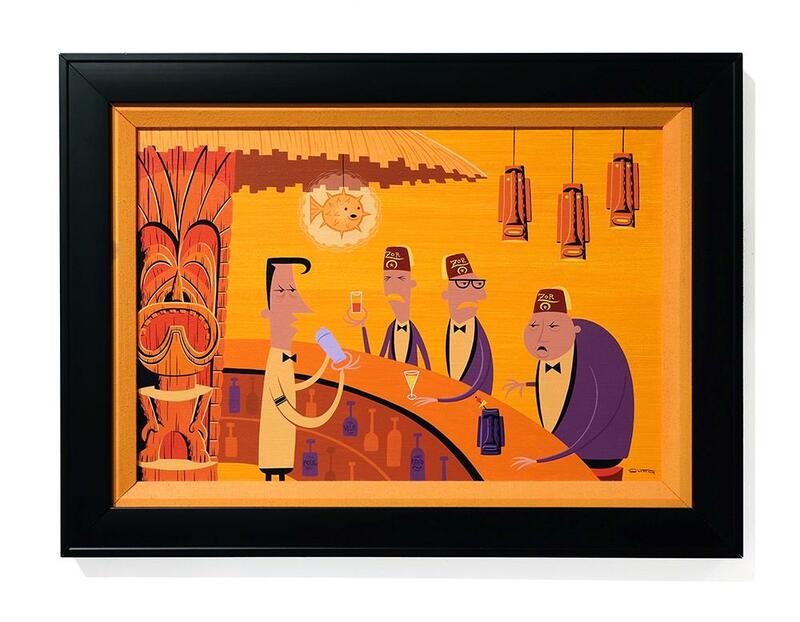 Josh Agle supplied the original Bad Bartender painting, measuring 28” by 20.5”. The painting sold at the exhibition but is for sale again now at the Outré Gallery in Australia for $10,500 AUD (approximately $7,900 USD). 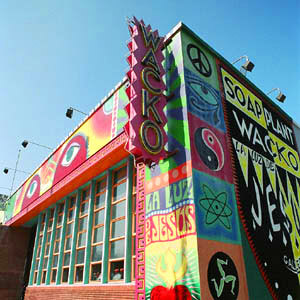 The Copro/Nason Gallery in Culver City, California held the definitive retrospective group art show from December 2nd 2000 to January 31st 2001. Incredible Cargo was designed by Shag as the exhibition poster and was produced as a hand signed and numbered five-color print, limited to 299 copies and measuring 18″ by 23″. This was Josh Agle’s fifth ever print and was ganged on the same print sheet with the Leeteg Tribute as his first ever serigraphs. 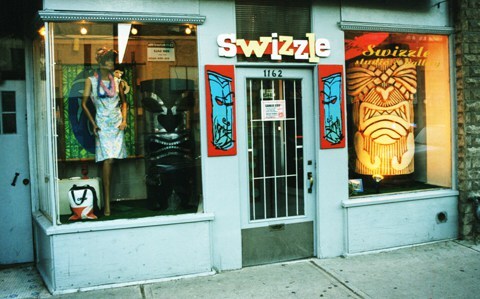 The savage city 2000 exhibition took place at the Swizzle Gallery in Toronto, Canada during the fall of 2000. 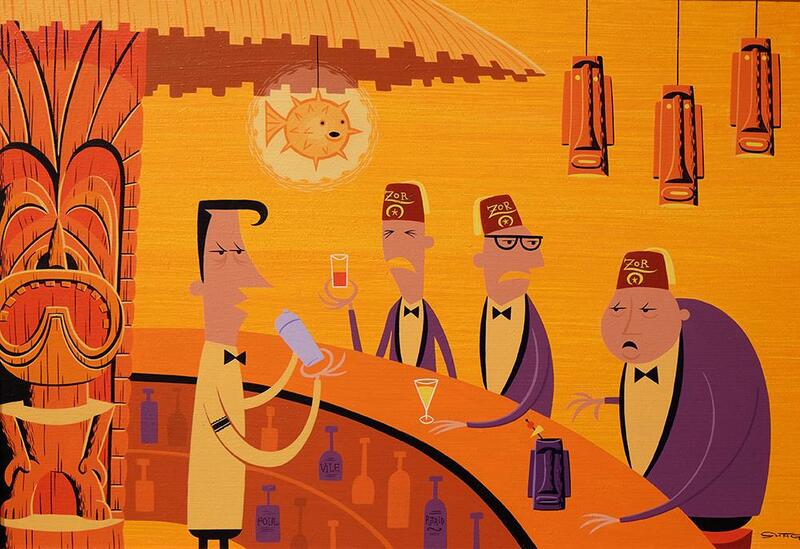 Please let me know if you have more details on what work of Josh Agle was shown.